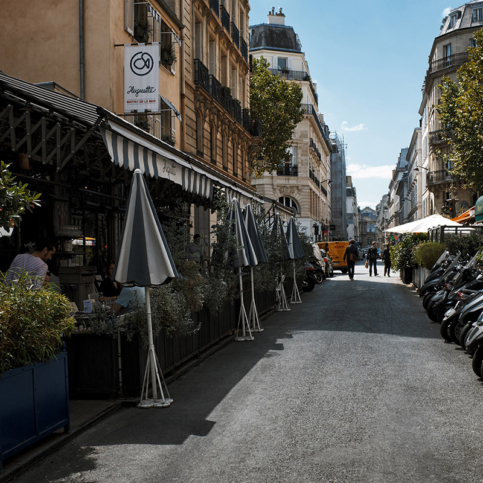 The little neighbourhood of Saint-Germain-des-Prés, straddling the 6th and 7th arrondissements, stretches from the bottom of Rue de Rennes to the immediate surroundings of the eponymous abbey. From its origins in the Middle Ages, it has inspired and nourished the greatest minds. The Encyclopaedists from the Enlightenment, followed by Marat, Danton and Guillotin; and later on, Musset, Verlaine and Anatole France wandered its narrow streets. 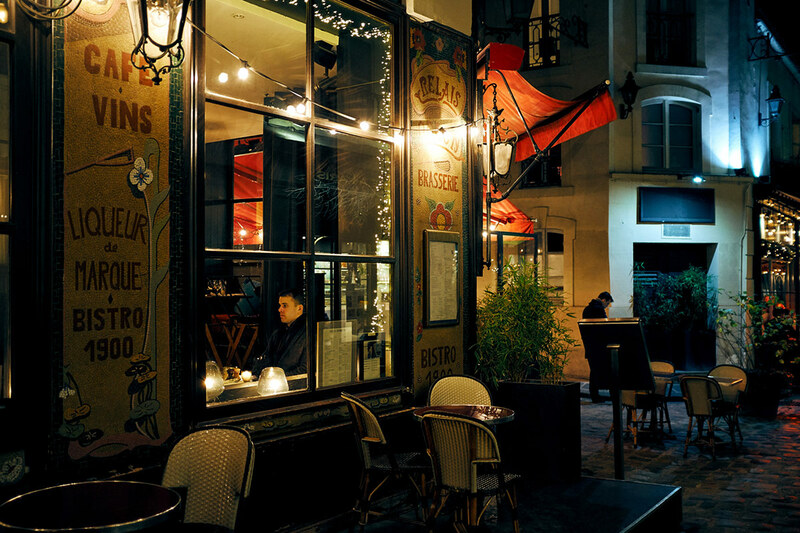 They all would meet at Le Procope, on 13, rue de l’Ancienne Comédie. 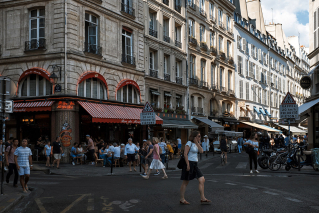 After the Second World War, the neighbourhood became the meeting point for the existentialists, but also Marguerite Duras, the “zazous”, jazz musicians and New Wave filmmakers. The big publishing houses have their headquarters there, and everything contributes to a spirit of creation. Today, it is a source of inspiration for gastronomic works of art, enchanting taste buds. Follow us for a day of enlightened gastronomy. 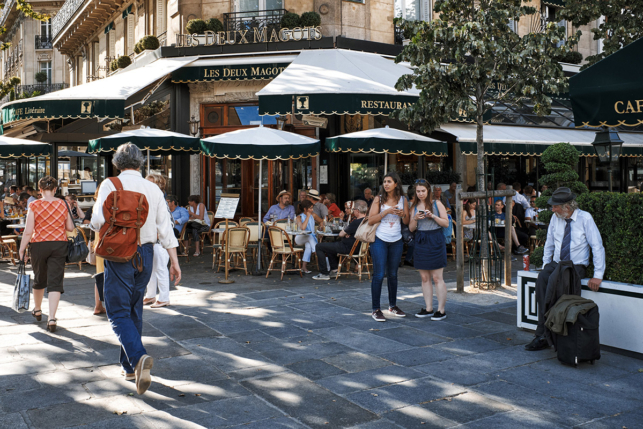 Opposite the church of Saint-Germain-des-Prés, Les Deux Magots is the best choice to start the day on the right foot. 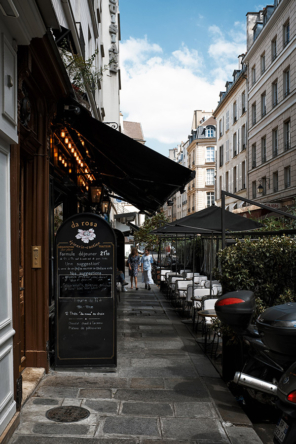 If the sun is out, sit on the terrace: inside, order a JP Sartre or a Hemingway : the story doesn’t say if the menu respects the writer’s culinary habits or why A Breton doesn’t have the honour of being on the breakfast menu. For those who prefer a less cliché address but still want to enjoy breakfast at home, stop by Gérard Mulot, 76 Rue de Seine. La Maison Mulot is a high-quality pastry shop and bakery. Everything here, from the golden pastries to the crusty baguettes are delicious. 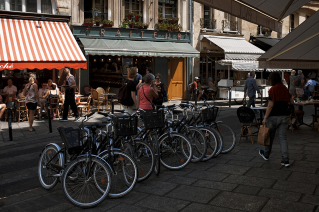 The grocery shop and cantine, Da Rosa, at 62, rue de Seine, is more accessible during the day than in the evening. Try your luck if you love excellent Mediterranean charcuterie, exceptional olive oils and good wines. If you run out of patience, order take-out. 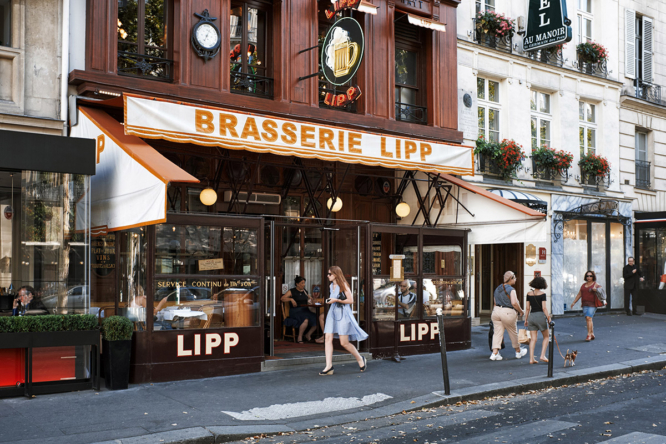 The Lipp brasserie is no longer but a shadow of its former self, but it continues to offer delicious, vintage sardines. An excellent choice to accompany an aperitif! How can you possibly resist the Latin charm and refined elegance of Massimo Tringali’s cuisine? A true master of transalpine gastronomy! At the bar on the terrace or in the restaurant on the mezzanine, taste seasonal produce imported straight from Italy in an elegant ambiance, surrounded by the grey and ochre design of Giorgio Armani. Food is modern and elegant, inspired by typical recipes that are revisited and lighter. In this would-be seaside bistro, anchored in the heart of Paris, lovers of fish, shellfish and seafood will be in heaven. Here, fresh and natural are the key words. The food is traditional and regional, such as shrimp croquettes, salmon béarnaise, sole meunière, smoked fish sauerkraut and more, but the regulars come back to Huguette for the seafood platter. 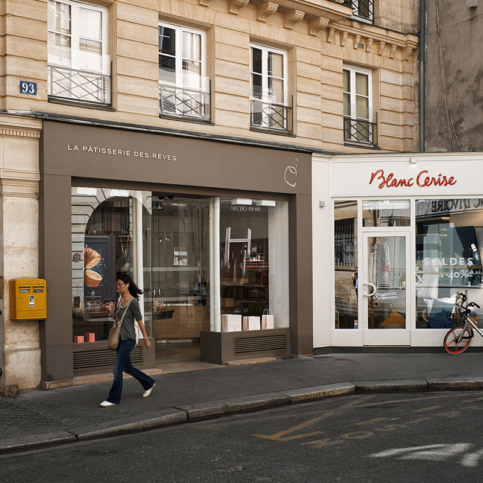 Off to Pierre Hermé, the haute-couture pastry chef’s café, at 72 rue Bonaparte. He revolutionised French pastry at the end of the 90s. 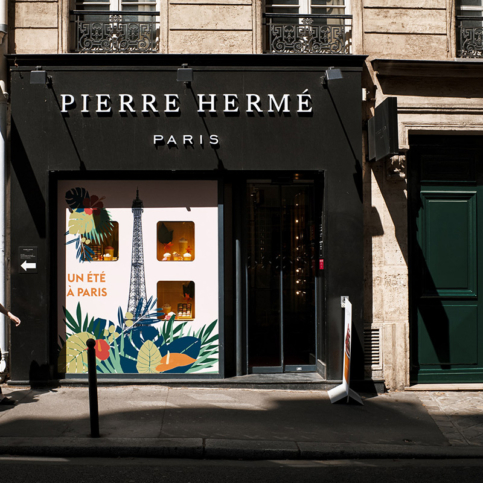 This is his trademark shop, the first one he opened in Paris. Known as “the Picasso of pastry”, his new flavours never cease to amaze and enchant all those who love to experiment with taste. 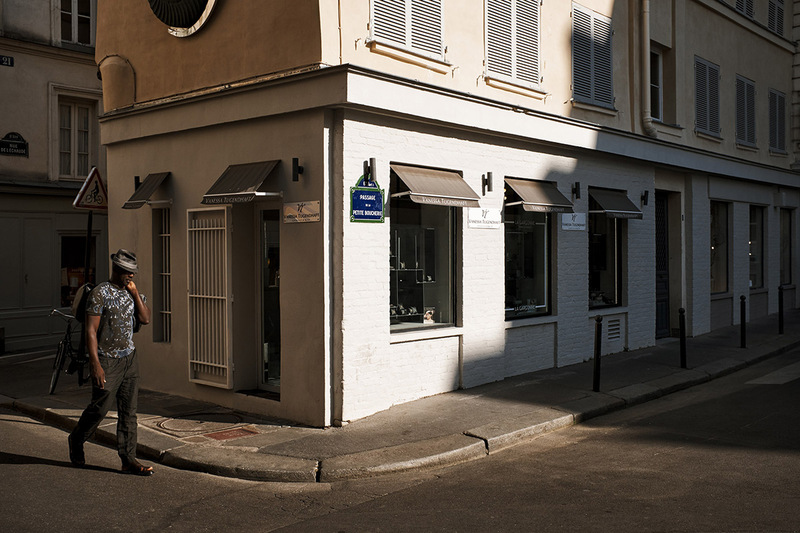 Or, go across to the next arrondissement to 93, rue du Bac. 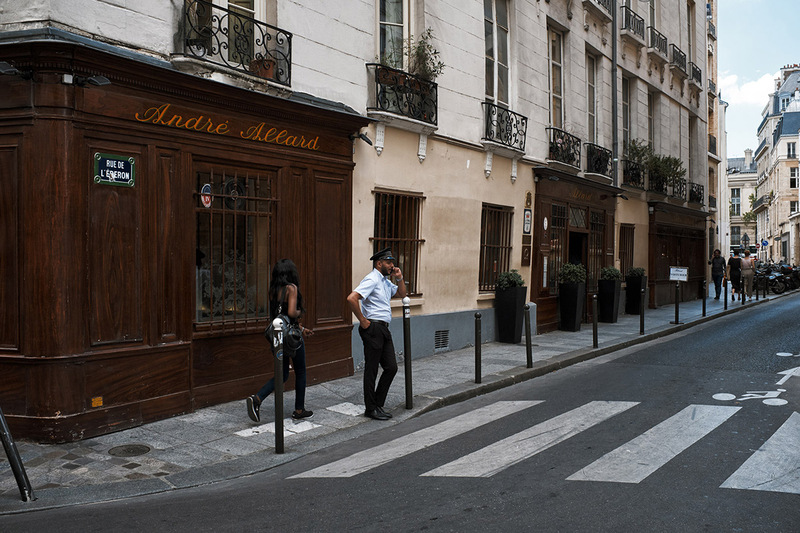 A stop at la Pâtisserie des Rêves, brings us to the most Proustian of cake shops. Saint-Honoré, Baba au Rhum, Charlotte aux Fruits Rouges, Paris-Brest… All the traditional French desserts are there, and in even better versions. 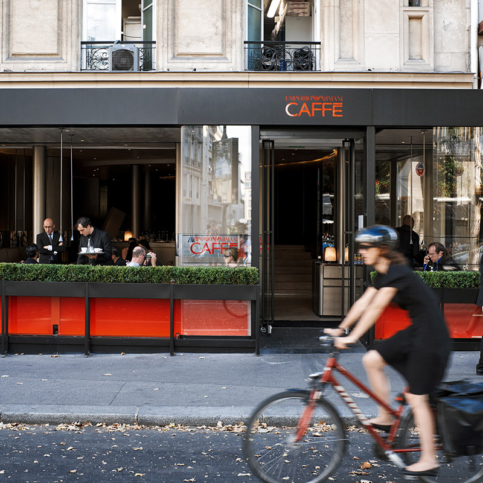 For the purists, Café de Flore is essential, but one must be patient. Now a victim of its own success, tourists the world over alongside regulars continue to assert the privilege of being seen en terrasse. Getting a table at 7 p.m. is no mean feat — and may involve a hint of snobbery! For modern souls, stop by Odéon. 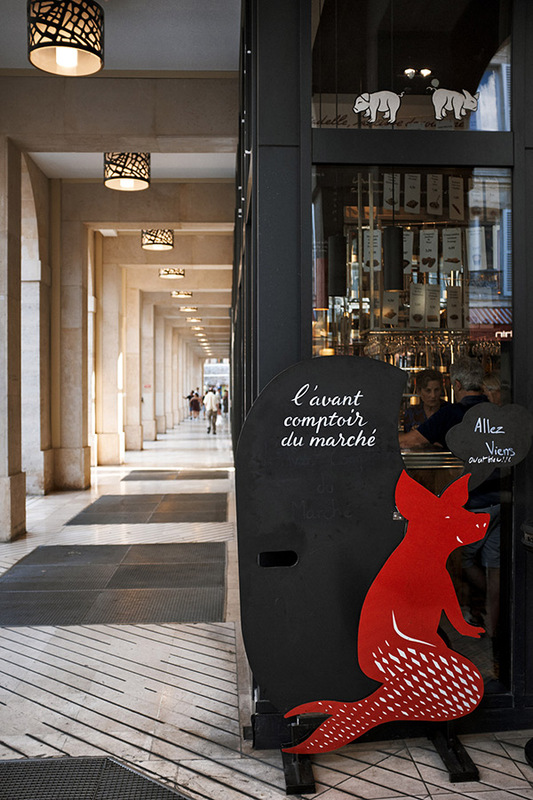 Here, drop into the Avant-Comptoir du Marché, in Saint-Germain of course! Paintings of pigs on the walls, a red flying pig hanging from the ceiling, a leg of ham sitting on the counter and jars of fat ready on request, that you spread generously on your delicious cornbread. In the kingdom of pork, Yves Candeborde, an official appellation of south-west origin, is the undisputed king! The menu hangs from hooks. The dishes — each more gourmet and pork-loaded than the next, such as “baby potatoes in hay, anchovy butter, confit porc filet” cooked deliciously pink, with croquetas with Bayonne ham and pork ravioli, all a treat for the taste buds. This is a house that has been at the top of the list of gourmet bistrot restaurants since 1931. The regulars come back for the straightforward, honest cuisine it has offered for generations. Now a member of the Ducasse family, the same menu is available and there are always generous plates, rooted in the tradition of our grandmothers’ recipes. Snails from Burgundy, saveloy casserole, Challans duck with olives, Paris-Brest and savarin au rhum: the entire culinary history of France is awakened in our taste buds, all the while surrounded by a 1900 decor, with original bar, leather-seat booths, tiles and engravings. If you’re more of a chic-pop modern visitor, choose one of David Lahner’s three restaurants. 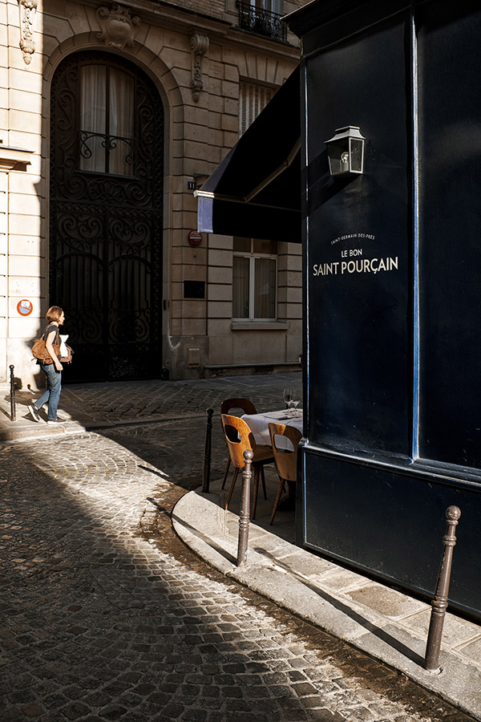 Between Saint-Sulpice and the Luxembourg gardens, straight out of Auvergne and dressed up by Dominique Léger (formerly Café du Flore) knows how to please the luxury-loving locals from Saint-Germain-des-Près. Alone at the helm, Mathieu Techer pulls out all the stops. From starters to share, terrine de campagne for the gentleman farmer with fig and beetroot; as mains, a colossal pork mignon; glazed turnips, artichoke, cauliflower purée drizzled with a flamboyant pork jus; for dessert, a light and airy baba au rhum on a cloud of whipped cream with a hint of vanilla. 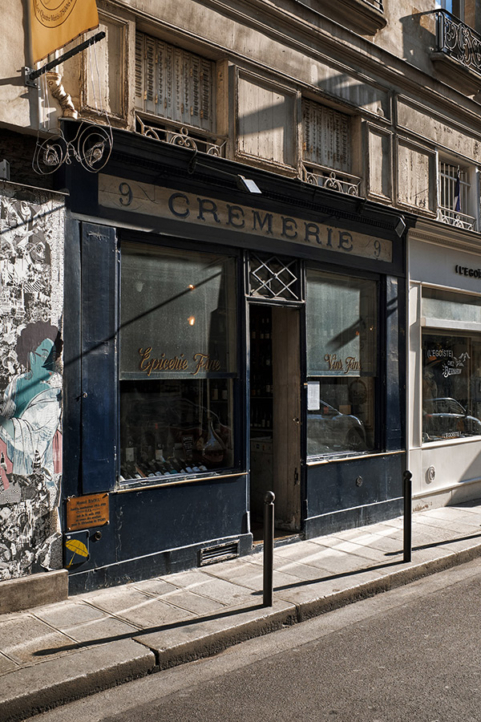 Another option is La Crémerie, a tiny bistro-resto where you eat standing up at 9, rue des Quatre-Vents.